This is used as a small signal amplifier. Used after the buffer stage. Multiple stages cascaded for higher gains. An Interactive Tutorial with Simulated Meters and Potentiometers, demonstrating how an Inverting Operational Amplifier functions is far below. 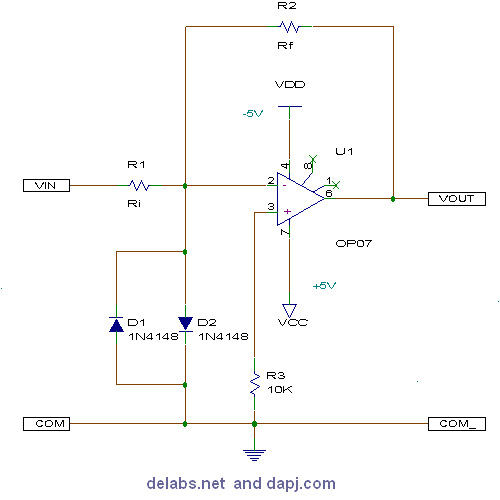 Op-amp Varieties - Operational amplifiers are very versatile electronic devices. This is a sampling of the kinds of devices which can be created with a single op-amp. Operational Amplifier Circuits - We have built voltage and current amplifiers using transistors. Circuits of this kind with nice properties (high gain and high input impedance, for example), packaged as integrated circuits (ICs), are called operational amplifiers or op amps.